2217. Townsend, J., Hydrogen partitioning between postperovskite and bridgmanite (invited), Bayerisches Geointitut, University of Bayreuth (Bayreuth, Germany, May 28, 2015). 2216. Jacobsen, S. D., Earth's deep water cycle: Atomic to geophysical scales (invited), Universität Wien, Institute for Mineralogy and Crystallography (Vienna, Austria, May 22, 2015). 2215. Jacobsen, S. D., Earth's deep water cycle: Atomic to geophysical scales (invited), Goethe University, Institut für Geowissenschaften (Frankfurt, Germany, April 22, 2015). 2214. Jacobsen, S. D., Earth's deep water cycle: Atomic to geophysical scales (invited), Observatoire de Physique du Globe, University of Clermont-Ferrand (France, March 6, 2015). 2213. Jacobsen, S. D., Earth's deep water cycle: Atomic to geophysical scales (invited), University College London, Department of Earth Sciences (London, England, February 4, 2015). 2212. Miyagi, L., Rheology experiments at extreme conditions: Understanding the mechanical properties of Earth’s interior (invited), Yale University (New Haven, CT, April, 2015). 2211. Miyagi, L., A mineral physics approach to seismic anisotropy in the deep earth (invited), Bayerisches Geoinstitut, Universität Bayreuth (Bayreuth, Germany, May, 2015). 2210. Miyagi, L., Example of DAC texture experiments (invited), Workshop on Texture Analysis Using the Rietveld Method from Synchrotron X-ray Diffraction Data (Center for High Pressure Science and Technology Research, Shanghai China, May, 2015). 2209. Miyagi, L., Slip systems in lower mantle minerals (keynote), Consortium for Materials Properties Research in Earth Science (COMPRES) Annual Meeting (Colorado Springs, CO, July, 2015). 2208. Miyagi, L., Complications with high pressure experiments (invited), Workshop on Texture Analysis Using the Rietveld Method from Synchrotron X-ray Diffraction Data (Center for High Pressure Science and Technology Research, Shanghai China, May, 2015). 2207. Miyagi, L., Synchrotron radial diffraction studies at high pressures and temperatures in the DAC (invited), International Union of Crystallography, High-Pressure Workshop, Laboratório Nacional de Luz Síncrotron (Campinas, Brazil, September, 2015). 2206. Miyagi, L., Deformation and anisotropy in the lowermost mantle: Structural geology at the core mantle boundary (invited), California Institute of Technology (Pasadena, CA, October, 2015). 2205. Lee, K. K. M., Planetary diversity: From diamond planets to hot Jupiters (invited), University of California - Davis, Department of Earth and Planetary Science Coloquium (Davis, California, December 9, 2015). 2204. Dera, P., High-pressure adventures with metastability and subduction, Stony Brook University Departmental Colloquium (Stony Brook, NY, 2015). 2203. Dlott, D. D., Real-time shock compression in microstructured materials (invited), AFOSR Dynamic Materials Interfaces Program Review (Pensacola, FL, August, 2015). 2202. Dlott, D. D., Nonlinear vibrational spectroscopy of electrochemical energy conversion and storage, International Conference on Time-Resolved Vibron Spectroscopy (Madison, WI, June, 2015). 2201. Shaw, D. M., Probing energetic material with laser-driven flyer-plates, Eglin Air Force Base (Valparaiso, FL, October, 2015). 2200. Shaw, W., Shock wave energy dissipation via mechanochemistry, APS Shock Compression of Condensed Matter Student Symposium (Tampa, FL, June, 2015). 2199. Yoo, C. S., Multi-functional superhard materials, Materials Science and Enginering Program, Washington State University (Pullman, WA, March 13, 2015). 2198. Yoo, C. S., Extended phases of nitrogen and carbon monoxide, School of Earth and Planetary Sciences, Seoul National University (Seoul, Korea, March 20, 2015). 2197. Fultz, B., Computation, the Gibbs free energy, and inelastic scattering (invited), DyProSo2015, 35th Symposium on Dynamical Properties of Solids (Freising, Bavaria, Germany, September 13-17, 2015). 2196. Zurek, E., Structure prediction under pressure (invited), 62nd American Vacuum Society International Symposium (San Jose, CA, October, 2015). 2195. Lee, K. K. M. and A. Wallenta, Adventures of Geo: Using comics as a learning tool, Eos Trans. AGU Fall Meet., Suppl. 96 (2015). 2194. Smith, J., S. Sinogeikin, C. Lin, E. Rod, L. Bai, and G. Shen, Apparatus and techniques for time-resolved synchrotron x-ray diffraction using diamond anvil cells, Eos Trans. AGU Fall Meet., Suppl. 96 (2015). 2193. Jackson, M., S. Mulcahy, H. Chen, Q. Li, P. Cappelletti, C. Carraro, and H. R. Wenk, Authigenic mineral cyclingi n Roman sewater concrete with Campi Flegrei pumiceous ash pozzolan, Eos Trans. AGU Fall Meet., Suppl. 96 (2015). 2192. Smart, T., S. Stackhouse, M. Diamond, B. Godwal, and R. Jeanloz, Behavior of BaBr2, BaI2, and BaCl2 at high pressure as analogs to SiO2, Eos Trans. AGU Fall Meet., Suppl. 96 (2015). 2191. Kono, Y., V. Stagno, H. Ohfuji, C. Kenney-Benson, Y. Wang, and G. Shen, Behavior of basalt-carbonate melts at high pressures, Eos Trans. AGU Fall Meet., Suppl. 96 (2015). 2190. Chen, H., S. H. Shim, K. Leinenweber, Y. Meng, and V. Prakapenka, Crystal structure of pure and aluminous calcium silicate perovskites at mantle related pressure and temperature, Eos Trans. AGU Fall Meet., Suppl. 96 (2015). 2189. Kaercher, P., L. Miyagi, W. Kanitpanyacharoen, E. Zepeda-Alarcon, Y. Wang, D. Parkinson, R. Lebensohn, F. DeCarlo, and H. R. Wenk, Deformation and crystallographic preferred orientation of two-phase lower mantle mineral analogs: Implications for seismic anisotropy in the lower mantle, Eos Trans. AGU Fall Meet., Suppl. 96 (2015). 2188. Arveson, S. and R. Jeanloz, Elastic and electronicp roperties of CsI to 19 GPa: An analog for Xe deep inside planets, Eos Trans. AGU Fall Meet., Suppl. 96 (2015). 2187. Kavner, A., Exploring the phase diagram SiO2-CO2 at high pressures and temperatures, Eos Trans. AGU Fall Meet., Suppl. 96 (2015). 2186. Zepeda-Alarcon, E., H. R. Wenk, M. D. Kasemer, P., and R. Carson, Finite element modeling of crystallographic preferred orientation (CPO) in two-phase aggregates: Relevant for anisotropy of the Earth's lower mantle, Eos Trans. AGU Fall Meet., Suppl. 96 (2015). 2185. Zhang, D., P. Dera, J. E. Zhang, P., J. P. Stubbs, V., and M. Rivers, High pressure research at the Partnership for eXtreme Xtallography (PX2) Project, Eos Trans. AGU Fall Meet., Suppl. 96 (2015). 2184. Palaich, S., R. Heffern, A. Kavner, C. Manning, M. Merlini, and M. Hanfland, High-pressure compressibility and thermal expansion of aragonite, Eos Trans. AGU Fall Meet., Suppl. 96 (2015). 2183. McGuire, C., A. Kavner, and D. Santamaria, High-pressure high-temperature behavior of iron silicide (Fe5Si3) to 58 GPa and 2400K, Eos Trans. AGU Fall Meet., Suppl. 96 (2015). 2182. Geballe, Z., Z. Whitlock, and V. Struzhkin, High-pressure thermal properties of liquid, solid and amorphous H2O, Eos Trans. AGU Fall Meet., Suppl. 96 (2015). 2181. Townsend, J., S. Jacobsen, C. Bina, and J. Tsuchiya, Hydrogen partitioning between postperovskite and bridgmanite, Eos Trans. AGU Fall Meet., Suppl. 96 (2015). 2180. Daviau, K., Z. Du, and K. K. M. Lee, Inside a diamond planet: Experimental investigation of High P-T SiC, Eos Trans. AGU Fall Meet., Suppl. 96 (2015). 2179. Shim, S. H., B. Grocholski, Y. Ye, E. Alp, S. Xu, D. Morgan, Y. Meng, and V. Prakapenka, Low Fe3+ in Bridgmanite and possible existence of an oxidizing layer in the mid mantle, Eos Trans. AGU Fall Meet., Suppl. 96 (2015). 2178. Liu, J., Z. Li, B. Chen, J. Li, D. Ikuta, J. Smith, S. Sinogeikin, D. Popov, and C. Kenney-Benson, Magnetic phase diagrams and thermal equations of state of Fe7C3 and Fe3C up to the pressure-temperature conditions of Earth’s core, Eos Trans. AGU Fall Meet., Suppl. 96 (2015). 2177. Lee, K. K. M., T. Gu, M. Li, and C. McCammon, The mantle-atmosphere connection: Oxidation of the atmosphere through mantle convection, Eos Trans. AGU Fall Meet., Suppl. 96 (2015). 2176. Minor, A., M. Sintubin, H. R. Wenk, and E. Rybacki, Mechanical twinning and microstructures in experimentally stressed quartzite, Eos Trans. AGU Fall Meet., Suppl. 96 (2015). 2175. Deng, J., Z. Du, and K. K. M. Lee, Melting of (Mg, Fe)O Ferropericlase at High Pressure (> 40 GPa), Eos Trans. AGU Fall Meet., Suppl. 96 (2015). 2174. Jackson, C., N. Bennet, Y. Fei, C. Williams, and S. Mukhopadhyay, Redistribution of argon by lower mantle phases during magma ocean crystallization, Eos Trans. AGU Fall Meet., Suppl. 96 (2015). 2173. Diamond, M., R. S. McWilliams, J. Eggert, R. Jeanloz, S. Ali, and G. W. Collins, Reflectivities of four shock-compressed alkali halides, Eos Trans. AGU Fall Meet., Suppl. 96 (2015). 2172. Millot, M., G. W. Collins, R. Jeanloz, R. J. Hemley, A. Goncharov, P. Loubeyre, S. Brygoo, R. S. McWilliams, P. Celliers, J. Eggert, J. Rygg, S. Le Pape, D. Fratanduono, S. Hamel, L. Peterson, N. Meezan, and D. Braun, Searching for the hydrogen plasma phase transition on the National Ignition Facility, Eos Trans. AGU Fall Meet., Suppl. 96 (2015). 2171. Antonangeli, D., G. Morard, F. Decremps, M. Gauthier, C. Murphy, G. Fiquet, and Y. Fei, Sound velociyt of Fe and Fe-Si alloys at Mbar pressures by a multi-technique approach Eos Trans. AGU Fall Meet., Suppl. 96 (2015). 2170. Nisr, C., S. H. Shim, K. Leinenweber, R. Hervig, V. Prakapenka, Y. Meng, and Z. Liu, Stability of pure hydrous silica at geotherm temperatures up to 70 GPa, Eos Trans. AGU Fall Meet., Suppl. 96 (2015). 2169. Hummer, D., C. Manning, A. Kavner, Y. Kono, C. Park, and C. Kenney-Benson, Structure and viscosity of carbonate-silicate melts using in situ techniques, Eos Trans. AGU Fall Meet., Suppl. 96 (2015). 2168. Godwal, B. and R. Jeanloz, Structure of iron at giant-planet and exoplanet interior conditions, Eos Trans. AGU Fall Meet., Suppl. 96 (2015). 2167. Lazarz, J., P. Dera, C. Bina, and S. Jacobsen, Systematic investigation of compression mechanisms of clinoenstatite, Eos Trans. AGU Fall Meet., Suppl. 96 (2015). 2166. Ikuta, D., Y. Kono, L. Lei, L. Skinner, C. Kenney-Benson, Y. Wang, and G. Shen, Viscosity of liquids sulfur and selenium at high pressures and high temperatures and their correlations with liquid structure, Eos Trans. AGU Fall Meet., Suppl. 96 (2015). 2165. Jeanloz, R., Waste heat approximation for understanding dynamic compression in nature and experiments, Eos Trans. AGU Fall Meet., Suppl. 96 (2015). 2164. Li, M. and R. Jeanloz, What can we learn from Hugoniot temperature as a function of shock velocity, Eos Trans. AGU Fall Meet., Suppl. 96 (2015). 2163. Bassett, W., 32-channel pyrometer for measuring temperature dynamics in molecular explosives, 2015 CDAC Annual Review (Argonne, IL, December 8-9, 2015). 2162. Cahill, D., Thermal transport at high pressures (invited), 2015 CDAC Annual Review (Argonne, IL, December 8-9, 2015). 2161. Daviau, K., Dissociation of SiC at high pressure and temperature, 2015 CDAC Annual Review (Argonne, IL, December 8-9, 2015). 2160. Dera, P., Improving energetic and armor materials: Crystallographic investigations of the side effects of hydrogen bonding and hypervalent coordination states on pressure-induced polymorphism (invited), 2015 CDAC Annual Review (Argonne, IL, December 8-9, 2015). 2159. Dlott, D. D., Shoch compression science under a microscope (invited), 2015 CDAC Annual Review (Argonne, IL, December 8-9, 2015). 2158. Duwal, S., Iso-structural transition and metallization in WS2, 2015 CDAC Annual Review (Argonne, IL, December 8-9, 2015). 2157. Fultz, B., Thermodynamics of F: A surprising role of magnon-phonon interactions (invited), 2015 CDAC Annual Review (Argonne, IL, December 8-9, 2015). 2156. Geballe, Z., Experiments to constrain the free energy of liquids and glasses at high-pressure: Calorimetry and Brillouin spectroscopy, 2015 CDAC Annual Review (Argonne, IL, December 8-9, 2015). 2155. Gramsch, S. A., CDAC education, training, and outreach (invited), 2015 CDAC Annual Review (Argonne, IL, December 8-9, 2015). 2154. Hemley, R. J., Carnegie/DOE Alliance Center: A Center of Excellence for High Pressure Science and Technology (invited), 2015 CDAC Annual Review (Argonne, IL, December 8-9, 2015). 2153. Herriman, J., Modeling phonon anharmonicity in GaAs and GaN, 2015 CDAC Annual Review (Argonne, IL, December 8-9, 2015). 2152. Hu, Y., Five-coordinated silicon in diopside at high pressure by single-crystal x-ray diffraction and first principles calculations, 2015 CDAC Annual Review (Argonne, IL, December 8-9, 2015). 2151. Jacobsen, S., CDAC Partner Institution: Northewestern University (invited), 2015 CDAC Annual Review (Argonne, IL, December 8-9, 2015). 2150. Lazarz, J. D., Elasticity at extreme conditions (invited), 2015 CDAC Annual Review (Argonne, IL, December 8-9, 2015). 2149. Li, M. L., Thermal conductivity of anisotropic materials at high pressure, 2015 CDAC Annual Review (Argonne, IL, December 8-9, 2015). 2148. McGuire, C., Fe5Si3 high-pressure and high-temperature equation of state up to 90 GPa from diamond-anvilcell experiments, 2015 CDAC Annual Review (Argonne, IL, December 8-9, 2015). 2147. Miyag, L., High pressure deformation and phase transformations in two-phase systems (invited), 2015 CDAC Annual Review (Argonne, IL, December 8-9, 2015). 2146. Moore, S., Fabrication of designer diamond anvils using maskless lithography with integrated wireless data transmission, 2015 CDAC Annual Review (Argonne, IL, December 8-9, 2015). 2145. Park, S., Response of simple and complex oxides to extreme environments, 2015 CDAC Annual Review (Argonne, IL, December 8-9, 2015). 2144. Pigott, J., Applications of sample nanofabrication in diamond-anvil cell experiments, 2015 CDAC Annual Review (Argonne, IL, December 8-9, 2015). 2143. Schilling, J., High magnetic ordering temperatures in lanthanides at extreme pressure (invited), 2015 CDAC Annual Review (Argonne, IL, December 8-9, 2015). 2142. Shamp, A., Theoretical studies of the primary Hugoniot of boron carbide in extreme conditions (invited), 2015 CDAC Annual Review (Argonne, IL, December 8-9, 2015). 2141. Shaw, W., Shock wave energy dissipation of nanoporous materials, 2015 CDAC Annual Review (Argonne, IL, December 8-9, 2015). 2140. Shelton, H., Evolution of interatomic and intermolecular interactions of melamine at high pressure, 2015 CDAC Annual Review (Argonne, IL, December 8-9, 2015). 2139. Shen, G., HPCAT overview (invited), 2015 CDAC Annual Review (Argonne, IL, December 8-9, 2015). 2138. Smith, S., High pressure and high temperature structural behavior of the organic crystal paracetamol, 2015 CDAC Annual Review (Argonne, IL, December 8-9, 2015). 2137. Song, J., Magnetic ordering at anomalously high temperature in Dy and Nd under extreme pressure, 2015 CDAC Annual Review (Argonne, IL, December 8-9, 2015). 2136. Townsend, J., First-principles investigation of hydrous post-perovskite, 2015 CDAC Annual Review (Argonne, IL, December 8-9, 2015). 2135. Vohra, Y. K., CDAC supported research at UAB (invited), 2015 CDAC Annual Review (Argonne, IL, December 8-9, 2015). 2134. Yang, F., Thermally-driven electronic topological transition in FeTi, 2015 CDAC Annual Review (Argonne, IL, December 8-9, 2015). 2133. Zepeda-Alarcon, E., Modeling 2-phase deformation in polycrystalline aggregates relevant to the lower mantle (invited), 2015 CDAC Annual Review (Argonne, IL, December 8-9, 2015). 2132. Zurek, E., Predicting crystal structures and properties of matter under extreme conditions (invited), 2015 CDAC Annual Review (Argonne, IL, December 8-9, 2015). 2131. Baldini, M., T. Muramatsu, M. Sherafati, H. K. Mao, L. Malavasi, P. Postorino, S. Satpathy, and V. Struzhkin, Inhomogeneity driven giant magneto-resistance in compressed LaMnO3, Bull. Am. Phys. Soc. (APS March Meeting) (San Antonio, TX, March 2-6, 2015). 2130. Banishev, A. and J. D. Christensen, D., Fluorescent probes for shock compression spectroscopy, Bull. Am. Phys. Soc. (APS March Meeting) (San Antonio, TX, March 2-6, 2015). 2129. Choi, G. M., B. C. Min, K. J. Lee, and D. Cahill, Thermal spin transfer torque driven by ultrafast heat current in metallic spin-valve structures, Bull. Am. Phys. Soc. (APS March Meeting) (San Antonio, TX, March 2-6, 2015). 2128. Fabbris, G., J. Lim, L. Veiga, D. Haskel, and J. Schilling, Compression-driven enhancement of electronic correlations in simple alkali metals, Bull. Am. Phys. Soc. (APS March Meeting) (San Antonio, TX, March 2-6, 2015). 2127. Geballe, Z. and V. Struzhkin, Calorimetry at high-pressure using high-frequency Joule-heating, Bull. Am. Phys. Soc. (APS March Meeting) (San Antonio, TX, March 2-6, 2015). 2126. Hellman, O., D. Broido, and B. Fultz, Temperature dependent phonon properties of thermoelectric materials, Bull. Am. Phys. Soc. (APS March Meeting) (San Antonio, TX, March 2-6, 2015). 2125. Kim, D., H. L. Smith, J. L. Niedziela, C. W. Li, D. L. Abernathy, and B. Fultz, Phonon anharmonicity in silicon from 100 to 1500 K, Bull. Am. Phys. Soc. (APS March Meeting) (San Antonio, TX, March 2-6, 2015). 2124. Lim, J., G. Fabbris, G. Haskel, and J. Schilling, Possible correlation-enhanced magnetic ordering at anomalously high temperatures in Dy under extreme compression, Bull. Am. Phys. Soc. (APS March Meeting) (San Antonio, TX, March 2-6, 2015). 2123. Mandal, S., R. E. Cohen, and K. Haule, Many body effects on the formal charge state of 3d - Transition metal doped BaTiO3, Bull. Am. Phys. Soc. (APS March Meeting) (San Antonio, TX, March 2-6, 2015). 2122. Miller, D., S. Simpson, N. Tyminska, and E. Zurek, Benzene derivatives adsorbed to the Ag(111) surface: A binding site study, Bull. Am. Phys. Soc. (APS March Meeting) (San Antonio, TX, March 2-6, 2015). 2121. Musfeldt, J., T. V. Brinzari, K. R. O'Neal, P. Chen, J. A. Schleuter, J. L. Manson, A. P. Litvinchuk, and Z. Liu, Spin-lattice interactions as revealed by the pressure-temperature phase diagram of Co[N(CN)2]2, Bull. Am. Phys. Soc. (APS March Meeting) (San Antonio, TX, March 2-6, 2015). 2120. Naumov, I. I. and R. J. Hemley, Chemical bonding forces and metallization of hydrogen, Bull. Am. Phys. Soc. (APS March Meeting) (San Antonio, TX, March 2-6, 2015). 2119. O'Neal, K. R., J. Cherian, C. Landee, M. Turnbull, Z. Liu, and J. Musfeldt, Pressure-induced structural distortions in copper pyrazine dinitrate, Bull. Am. Phys. Soc. (APS March Meeting) (San Antonio, TX, March 2-6, 2015). 2118. Schilling, J., J. Lim, G. Fabbris, and D. Haskel, Evidence for highly correlated electron behavior in Dy under extreme compression resulting in strongly enhanced magnet interactions, Bull. Am. Phys. Soc. (APS March Meeting) (San Antonio, TX, March 2-6, 2015). 2117. Stillwell, R., J. Jeffries, S. McCall, Z. Jenei, S. Weir, and Y. Vohra, Discovery of superconductivity in Bi2Te: evidence of universal behavior in an infinitely adaptive series under compression, Bull. Am. Phys. Soc. (APS March Meeting) (San Antonio, TX, March 2-6, 2015). 2116. Wilfong, B., M. Ahart, S. A. Gramsch, X. Li, H. Luo, C. Stock, and R. J. Hemley, In situ Raman spectroscopy investigation of relaxor multiferroic Pb(Fe0.5Nb0.5)O3 under high pressure and temperature, Bull. Am. Phys. Soc. (APS March Meeting) (San Antonio, TX, March 2-6, 2015). 2115. Ying, J., L. Y. Tang, H. K. Mao, V. Struzhkin, A. F. Wang, X. H. Chen, and X. J. Chen, Huge enhancement of superconductivity in the collapsed tetragonal KFe2As2, Bull. Am. Phys. Soc. (APS March Meeting) (San Antonio, TX, March 2-6, 2015). 2114. Yoo, C. S., D. Tomasino, M. Kim, and J. Smith, Singly bondend layered polymeric nitrogen (LP-N), Bull. Am. Phys. Soc. (APS March Meeting) (San Antonio, TX, March 2-6, 2015). 2113. Zhao, Z., H. Zhang, H. Yuan, S. Wang, Y. Lin, Q. Zeng, Z. Liu, K. Patel, G. Solanki, Y. Cui, H. Hwang, and W. Mao, Pressure induced metallization with absence of structural transition in layered MoSe2, Bull. Am. Phys. Soc. (APS March Meeting) (San Antonio, TX, March 2-6, 2015). 2112. Zurek, E., Bonding at the metal-organic interface, Bull. Am. Phys. Soc. (APS March Meeting) (San Antonio, TX, March 2-6, 2015). 2111. Lee, K. K. M., Sinking deep in to a C-rich planet: Using experiments to constrain planetary interiors, USRA Geodynamics Workshop (Pasadena, CA, May 5, 2015). 2110. Lee, K. K. M., Planetary diversity: From diamond planets to hot Jupiters, University of Maine, School of Earth and Climate Sciences Department Coloquium (Orono, ME, October 2, 2015). 2109. Shamp, A., Theoretical studies of the primary Hugoniot and solid state properties of boron carbide in extreme conditions, CECAM: Carbon at Extreme Conditions (Lugano, Switzerland, October, 2015). 2108. Shamp, A., Theoretical predictions of novel potassium chloride under pressure, University at Buffalo 33rd Annual Chemistry Graduate Student Symposium (Buffalo, NY, May 2015). 2107. Zurek, E., Chemistry under pressure, Department of Chemistry Seminar, University of Calgary (Calgary, Canada, January, 2015). 2106. Zurek, E., Chemistry under pressure, Compentence Center for Computational Chemistry (C4) Seminar (ETH, Zurich, Switzerland, March, 2015). 2105. Zurek, E., Chemistry under pressure, Theory Department, Max Planck Institute of Microstructure Physics (Halle, Germany, March, 2015). 2104. Zurek, E., Chemistry under pressure, Department of Materials Group Seminar (ETH, Zurich, Switzerland, March, 2015). 2103. Zurek, E., Structural prediction from first principles, Quantum Systems in Chemistry, Physics, and Biology (Taipei, Taiwan, October, 2015). 2102. Zurek, E., Chemistry under pressure, North American Solid State Chemistry Conference (Tallahassee, FL, May, 2015). 2101. Zurek, E., Structure prediction under pressure, Telluride Workshop on Computational Materials Chemistry (Telluride, CO, June, 2015). 2100. Zurek, E., Chemical bonding under pressure, 3rd International Conference on Chemical Bonding (Hawai'i, July, 2015). 2099. Zurek, E., Predicting crystal structures via evolutionary algorithms, 62nd American Vacuum Society International Symposium (San Joze, CA, October, 2015). 2098. Yoo, C. S., Singly bonded layered polymeric nitrogen (LP-N) (invited), Second DCO International Science Meeting (Munich, Germany, March 26-28, 2015). 2097. Yoo, C. S., Transformations of dense carbon dioxide: Chemistry (kinetics) vs physics (thermodynamics), Earth and Planetary Science Department Seminar, University of California - Los Angeles (Los Angeles, CA, May 29, 2015). 2096. Schilling, J. S., J. Lim, G. Fabbris, and D. Haskel, Evidence for highly correlated electron behavior in Dy under extreme compression resulting in strongly enhanced magnet interactions, Bull. Am. Phys. Soc. (APS March Meeting) (San Antonio, Texas, March 2-6, 2015). 2095. Lim, J., G. Fabbris, D. Haskel, and J. S. Schilling, Possible correlation-enhanced magnetic ordering at anomalously high temperatures in Dy under extreme compression, Bull. Am. Phys. Soc. (APS March Meeting) (San Antonio, Texas, March 2-6, 2015). 2094. Fabbris, G., J. Lim, L. Veiga, D. Haskel, and J. S. Schilling, Compression-driven enhancement of electronic correlations in simple alkali metals, Bull. Am. Phys. Soc. (APS March Meeting) (San Antonio, Texas, March 2-6, 2015). 2093. Lim, J., G. Fabbris, D. Haskel, and J. S. Schilling, Record high magnetic ordering temperature in a lanthanide at extreme pressure, Joint AIRAPT-25 & EHPRG-53 International Conference on High Pressure Science and Technology (Madrid, Spain, August 30-September 4, 2015). 2092. Fultz, B., L. Mauger, F. Körmann, B. Grabowski, M. S. Lucas, J. A. Muñoz, S. J. Tracy, B. Dutta, T. Hickel, and J. Neugebauer, Stabilization of bcc Fe by magnon-phonon interactions, International Conference on Phase Transformations in Materials (Whistler, British Columbia, Canada, , 2015). 2091. Fultz, B. and L. Mauger, A nuclear resonant inelastic x-ray scattering study of the stabilization of bcc Fe by magnon-phonon interactions, Eighth North American Mössbauer Symposium, Northeastern University (Boston, MA, 2015). 2090. Bassett, W. P., Probing energetic materials with laser-driven flyer plates (invited), Air Force Research Laboratory (Elgin AFB, FL, October, 2015). 2089. Bassett, W. P., 32-Channel pyrometer with high dynamic range for studies of shocked nanothermites, APS Biennial Conference on Shock Compression of Consensed Matter (Tampa, FL, 2015, 2015). 2088. Shaw, W. L., Mechanochemistry for shock wave energy dissipation, APS Biennial Conference on Shock Compression of Consensed Matter, Student Workshop (Tampa, FL, June, 2015). 2087. Shaw, W. L., Probing energetic materials with laser-driven flyer plates, Mach Conference (Annapolis, MD, April, 2015). 2086. Dlott, D. D., Shock compression dynamics under a microscope (plenary), APS Biennial Conference on Shock Compression of Condensed Matter (Tampa, FL, June, 2015). 2085. Dlott, D. D., Time-resolved spectroscopy of shock-compressed materials (invited), AFOSR Moleuclar Dynamics and Theoretical Chemistry Contractors' Meeting (Albuquerque, NM, May, 2015). 2084. Dlott, D. D., Materials chemistry under extreme conditions (invited), Bryce Crawford Lecture, Department of Chemistry, University of Minnesota (Minneapolis, MN, April 2015). 2083. Dera, P., High-pressure adventures with metastability and subduction, Departmental Colloquium, Stony Brook University (Stony Brook, NY, 2015). 2082. Dera, P., High-pressure adventures with metastability and subduction, COMPRES DSL Lecture, New Mexico State University (Las Cruces, NM, 2015). 2081. Dera, P., High-pressure adventures with metastability and subduction, COMPRES DSL Lecture, Colorado State University (Ft. Collins, IL, 2015). 2080. Dera, P., High-pressure adventures with metastability and subduction, COMPRES DSL Lecture, Michigan State University (Lansing, MI, 2015). 2079. Dera, P., High-pressure adventures with metastability and subduction, COMPRES DSL Lecture, Illinois State University (Normal, IL, 2015). 2078. Dera, P., Tales of rock and sand: A crystallographic journey from Hades to Heaven, COMPRES DSL Lecture, Concord University (Athens, WV, 2015). 2077. Hu, Y., P. Dera, B. Kiefer, B. N. Sahu, and M. H. Manghnani, Five-coordinated silicon in diopside at high pressure by single-crystal x-ray diffraction and first principles calculations, COMPRES Annual Meeting (Colorado Spring, CO, 2015). 2076. Cahill, D. G., Extremes of heat conduction in molecular materials, Henkel Corporation, Meeting of th Scientific Advisory Board (Hartford, CT, September 2-3, 2015). 2075. Cahill, D. G., Passive and active control of heat conduction in materials, Thermal Management Seminar, Toyota Research Institute of North America (Ann Arbor, Mi, June 9, 2015). 2074. Cahill, D. G., Failure of Fourier’s law in measurements of thermal conductivity by time-domain thermoreflectance (plenary talk), Phononics 2015 (Paris, France, May 31-June 5, 2015). 2073. Hemley, R. J., Recent developments in high pressure science (invited), Max Planck Instutute Colloquium (Mainz, Germany, January 26, 2015, 2015). 2072. Hemley, R. J., H2O under pressure (invited), Workshop on Fundamental Challenges in our Understanding of the Physics and Chemistry of Water (Houston, TX, January 16-17, 2015, 2015). 2071. Ahart, M., Texture development at high pressure in epsilon-FeSi, Stewardship Science Academic Programs Symposium (Santa Fe, NM, March 11-12, 2015). 2070. Bassett, W., Photophysics of rhodamine dyes under shock compression, Stewardship Science Academic Programs Symposium (Santa Fe, NM, March 11-12, 2015). 2069. Daviau, K., Inside a diamond planet: Investigating high pressure and temperature SiC, Stewardship Science Academic Programs Symposium (Santa Fe, NM, March 11-12, 2015). 2068. Duwal, S., Pressure-induced metallization in tungsten disulfide, Stewardship Science Academic Programs Symposium (Santa Fe, NM, March 11-12, 2015). 2067. Gianetta, M., Orientation relationships and stress controlled variant selection during the B1 to B2 structural transformation in NaCl, Stewardship Science Academic Programs Symposium (Santa Fe, NM, March 11-12, 2015). 2066. Hohensee, G., Inelastic thermal conductance, thermal transport in metallic silicon, and phonon scattering from magnetic defects at high pressure, Stewardship Science Academic Programs Symposium (Santa Fe, NM, March 11-12, 2015). 2065. 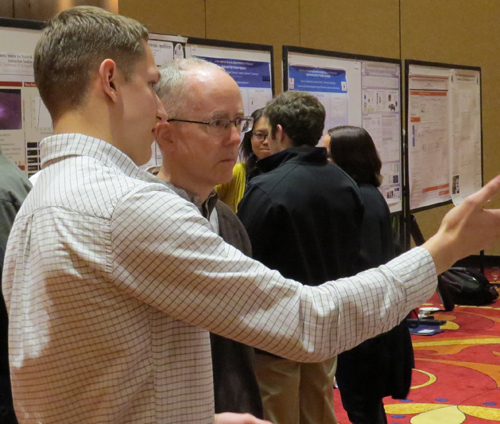 Lazarz, J., Optical properties of monoclinic acetaminophen, Stewardship Science Academic Programs Symposium (Santa Fe, NM, March 11-12, 2015). 2064. Lim, J., Anomalous pressure dependence of magnetic ordering temperature in Dy and Tb, Stewardship Science Academic Programs Symposium (Santa Fe, NM, March 11-12, 2015). 2063. Lin, F., Texture development at high pressure in epsilon-FeSi, Stewardship Science Academic Programs Symposium (Santa Fe, NM, March 11-12, 2015). 2062. Mauger, L., Anharmonic phonons in bcc-Fe and Fe3C, Stewardship Science Academic Programs Symposium (Santa Fe, NM, March 11-12, 2015). 2061. Montgomery, J., High-temperature high-pressure phase diagram of gadolinium studied with boron-doped heater anvils, Stewardship Science Academic Programs Symposium (Santa Fe, NM, March 11-12, 2015). 2060. Park, S., Complex and simple oxides under extreme environments, Stewardship Science Academic Programs Symposium (Santa Fe, NM, March 11-12, 2015). 2059. Pigott, J., High-pressure, high-temperature equations of state using nanofabricated controlled-geometry Ni/SiO2/Ni double hot-plate samples, Stewardship Science Academic Programs Symposium (Santa Fe, NM, March 11-12, 2015). 2058. Shamp, A., Theoretical studies of the primary Hugoniot and solid state properties of boron carbide in extreme conditions, Stewardship Science Academic Programs Symposium (Santa Fe, NM, March 11-12, 2015). 2057. Shaw, W., Shock wave energy dissipation via mechanochemistry, Stewardship Science Academic Programs Symposium (Santa Fe, NM, March 11-12, 2015). 2056. Shelton, H., Phase transition and hydrogen bonding behavior in Be(OH)2, Zn(OH)2, and SiO2 cristobalite at high temperatures and pressures, Stewardship Science Academic Programs Symposium (Santa Fe, NM, March 11-12, 2015). 2055. Smith, S., The polymorphic behavior of paracetamol under high pressure and high temperature conditions, Stewardship Science Academic Programs Symposium (Santa Fe, NM, March 11-12, 2015). 2054. Yang, F., Phonon anharmonicity in B2-ordered FeTi, Stewardship Science Academic Programs Symposium (Santa Fe, NM, March 11-12, 2015). 2053. Zepeda-Alarcon, E., Visco-plastic modeling of MgSiO3 perovskite + periclase aggregates, Stewardship Science Academic Programs Symposium (Santa Fe, NM, March 11-12, 2015).